My name is Cristina an ADI from Romania, I am not sure you remember me so I will make a little briefing. I decided last year to move to UK and get my ADI badge transferred. First time when saw Bob I was trying to watch on YouTube LDC lessons to learn some technical English and somewhere his video appeared giving lesson to a pupil.....it seemed so funny for me that somebody would make a video in the car (I see now how my culture and education kept my mind narrow)...I just thought he needs attention, so I was skipping his videos thinking "what a freak!". 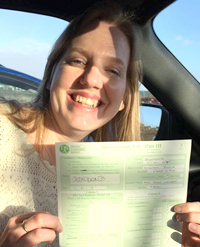 After a little while since I got my badge transferred, Standard check test letter came....and I didn't even had a car nor a pupil, just moved to UK from couple months, I barely knew where to look when crossing the street.....so I decided to get some lessons from an ADI. The instructor suggested me to learn how to drive first than to teach, very encouraging (of course...I have driven 10 years on the other side of the road...so he was right). The second ADI that I met suggested me to wait until the test day and call sick ( I guess nobody though I have a chance).... So I bought some books, got a car and started to drive and talk alone in the car as I didn't afford endless lessons with an ADI..........than I figured out how helpful Bob's videos can be....so I ended up listening them every day, I was falling asleep listening them, I learnt his jokes, his examples, his eyes blinking and checks, everything. I contacted him in order to book the standard check workshop but I figured out we are hours apart so I decided to see him on Skype. First time when we Skype I figured out from beginning how he was trying to build " that thinking" in me so i thought to myself "aha he is trying to do to me same as he does to Claire and Nikki and all the others, I am not a pupil I just want him to tell me how to pass standard check"....so I made a big list with questions for next Skype session as I felt the first time he was not directly answering to my questions as I wanted.......it seemed he put more questions than I so I was so frustrated that he doesn't just "feed me the fish"........than I only realised after I passed my standard check test that he "thought me how to fish" in a very less time. The point I am trying to make is that all these 3 ADI were right regarding me.....but the difference is made how you see things....you can see the half full of the glass or the half empty...you will still be right......so better choose an instructor that sees the "half full of you. I am not sure If you realise how much you helped me, you just made the difference between failing and passing the exam. You just gave me water when I needed most, no cheap juice that makes you more thirsty after half an hour, you draw me the path I should follow to be a good driving instructor and to improve myself endlessly . At exam I had that feeling you have when you put a little perfume, very good perfume, only a drop it takes and smell everywhere, that is how I felt the little time we had. Exterminator figured out i have no experience and I am new, he told me after "you have the technique and the base of what it needs according to the new standards, all you need is to practice and get experience", so he smelled you, you put your print on me. I just wish you to put your print on as many people as possible because seems what you do really works. I am trying to do same with my son, what you do with pupils, and it does work. "Thank you" looks too small for the big think you done, I am referring here to your flexibility and how quick you answered to my need. I have called and texted 41 instructors from my area and Croydon to rent a car for exam and book some hours, I could not find one to fit my schedule as a single mother. Put simply, Bob is FANSTATIC!!! I spent two intense but rewarding and fun days with Bob preparing for my part 3 test, which I passed! Bob did an amazing job building my confidence with his method of teaching, getting me to self mark my efforts and justify the scores I'd given myself (which made me see that I was being a wee bit hard on myself). By the end of the two days, I was willingly giving my self 10's!! Bob had some great suggestions for calming myself down with breathing techniques (which worked) and even analysed the strange dreams I'd had the night before where I'd forgotten what a steering wheel was! Bobs car, "The Yellow One!" was really nice to drive. It as really comfortable, clean and has good viability. Thank you Bob, I will be eternally grateful to you. Janet. I have been working towards a level 3 award in teaching and education with LDC. Bob has been the course tutor and has been fantastic. His tutorial sessions have always been entertaining and informative and have made the course content easy to understand. I was intimidated by the thought of studying after having done non for so long but Bobs help and advice has always been motivating and has kept me focused while completing assignments. I would certainly attend courses with Bob in the future and would recommend his courses to anyone who wishes to improve their knowledge base and business prospects. 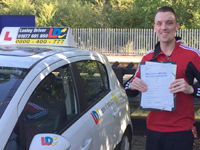 I have attended Fleet Driver and Standard check training with Bob Morton, I have found course with Bob relaxed and educational, giving me a new insight into driver training. My pupils are much more involved now. They express themselves and get involved in decision making, giving them choices as to where they feel they are up to and where they feel they could improve. It's amazing how they are open to new ideas given the choice, and I haven't had one pupil yet that doesn't like that extra involvement! 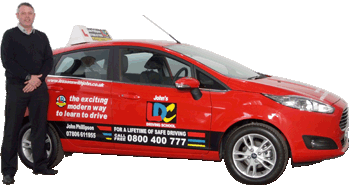 I can honestly say that learning about how to use coaching has enhanced my skills as a driving instructor for the better. The results have been great and pupils are definitely picking things up quicker which keeps them happy and me happy." Shahid Hamid ADI & Fleet Driver Trainer DVSA. I'm an independent ADI, not with LDC, but have completed several courses with Bob. Standards Check training (receiving a Grade A 3 weeks after the course); Level 3 Award in Education and Training (old PTLLS equivalent); EST; Fleet. Bob presents well, both in class and in car. He's enthusiastic and knowledgeable. The Level 3 Award is mostly completed online and Bob's feedback was always prompt and constructive. The LDC materials provided were good quality, professional products. Bob gave lots of information on how to access further information and resources. I would definitely recommend Bob as a trainer. A big thank you to Bob for all the hard work which you have done in helping me and many others to progress in our respective courses. Without your help and advice myself and others would not be able to achieve our goals. One of the key things as a teacher is connecting with your pupils and you do that brilliantly making yourself very approachable and helpful which has made learning fun. The qualities you have i try to instill into my own teaching style, so thank you once again for everything and for being a great mentor. Having attended courses with Ged, Claire and Kathy and having attained BTEC Level 4 with Tri-Coaching, this course I have found more informative, and delivered in PLAIN ENGLISH. Bob's enthusiasm is infectious. Thank you, thank you, thank you so much for being there when you were really needed. I've just completed a really successful day using my new found skills 6 of my 7 clients said that they enjoyed the new learning experience and it was very rewarding for them obtaining new skills. I will be in contact soon regarding more courses. Very helpful and has dispelled all the concerns I had. I'm also armed with real information and not rumour control. Not sure if I'm going to fluke myself with this email but thought I would let you know my driving test results (since the coaching course) Since the course I've done 12 tests, 1 fail, 11 passes of which 8 where 1st time passes Previous 12 tests before course, 6 fail, 6 passes 4 of which where 1st time passes I may be just having a good run and perhaps a bad run before but what I feel is that pupils are making more decisions and not reliant on me for answers all the time as they answer the questions given time ! So in turn when they come to test they don't feel in an alien situation knowing the examiner isn't going to help and they are confident their decision is right! I am referring to the 'learning progression'. When I first read this sheet, I thought 'what?'. I had no idea how I intended to move forward. I had become stagnant. So I went back to Bob and we spoke at length about what I did enjoy and I have decided to enrol on the PTLLS course when that becomes available and also to train as a fleet instructor when that becomes available too. I feel that my coaching skills are still in the early stages and that training as a fleet instructor will help me to develop them. 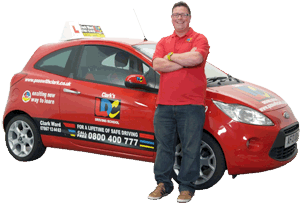 Bob is an experienced and knowledgable Driving Instructor and Trainer. I have always found Bob's attitude to be encouraging and enthusiastic and there always seems to be an element of fun in every session he conducts. I cannot think of a better person to provide ADI training. I recently completed the coaching course and found it very usefull and helpfull, it gave me an insight into coaching instead of just teaching something I am now trying to incoparate into my lessons, I found the presentation to be of the highest order it was full of usefull information and delivered with aplomb and humour ensuring we were never bored. From the outset nothing was too much trouble for Bob. It started with been supplied with all the materials needed for the course to be taken away for the work to be done at home having it pointed out to do workbooks 1 and 2. This was followed by a classroom session where we went through the LDC system now adopting the coaching technique, which made things a lot clearer as to delivering this method of learning to drive. The next session was an in-car assessment on coaching and mentoring which was thought provoking. I always found Bob inspirational because he was always enthusiastic and really believes in what he is passing on, and when something in home study wasn't clear I only had to pick up the phone and he would put me on the right track. It was a positive experience for me so thanks for your time and patience. I have tried to take on board what I learned during the course and am relating it to my working routines and practices. This is of course a conitiuing process as I identify areas where I can improve what I do to improve the learning experience for each student. I have had two new students start in the last couple of weeks so am paying particular attention to my use of coaching where appropriate. It's very tempting in the early stages to give detailed instruction and this can be the quickest way to make what seems like a lot of progress in a very short time…the down side is that the student just learns how to drive like the instructor says it should be done without valuing the skill and knowledge learned….Easy come - easy go! I was delivering a "Turn in the Road" lesson yesterday and used a combination of coaching and a minimum of instruction and the result was that the student completed the turn in the road successfully with very little instruction and no frustration for either of us…Reuslt! Apart from the essential advice about staying safe during the manouevre the lesson brief was simly a square drawn on a notepad saying drive slowly into each of the four corners of the square. 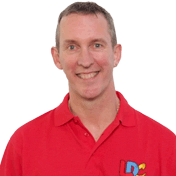 Throughout the time on the course I found not only Bob but the rest of the team at LDC to be very friendly and approachable, with a professional but family like atmosphere throughout the building. As a result of this I already feel that if I need any advice or help in any way, all I need do is pick up the phone or call in to the office.